Labelleskin is the perfect blend of Skincare and Facial Spa providing the latest proven, non-surgical cosmetic anti-aging procedures like permanent Laser Hair Removal, Botox cosmetic, Restylane, juvederm, Radiesse, Perlane fillers, Palomar Starlux Non-ablative Skin Resurfacing Laser, IPL, Photofacial, fotofacial, Obagi products, Chemical peels, Skin peels, Collagen, Retin-A, Face lift skin treatments; whether or not you had treatment with Proactiv, Benzoyl Peroxide, Salicylic Acid, Accutane, clearasil, Blue light Acne Phototherapy, Murad, Acne products, antibiotics, pore clogging therapy, Acne Scars, enlaged pores, dark spots, oily skin treatment, Obagi, bikini lines, HCG, B12 shots, you can still look very good at a moment notice. Everyone wants to look their best. Aging, Insomnia, Depression, low Libido, Sun damage, Acne, Menopause, bloating, and Weight gain can affect not only the way that you look, but the way that you feel. Labelle Laser Skin Care Clinic understands and addresses all these issues at once. We want to help you restoring your natural beauty safely. All of our services are non-surgical, which means that the side effects and downtime afterward are minimal. Bio-identical Hormone Replacement maybe therapeutic for some patients. At Labelle Laser Skin Care Clinics, we want you to look and feel your best every day from now on! We also have an active succesful acne treatment program for teens and young adults. Our doctors, skin care specialists, estheticians, cosmetologists could help you. Our offices are located in the Silicon Valley, San Francisco Bay Area, San Jose, Redwood City, Palo Alto, and the East Bay Area. Dr. Milliardaire Syverain, M.D.,the Labelle Laser Skin Care Clinic Medical Director, is a graduate of Stanford University School of Medicine. 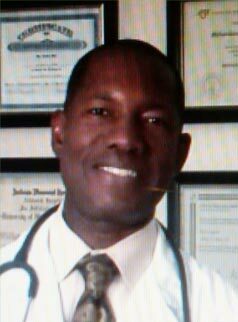 He is a licensed physician in the state of California and has been practicing medicine since 1996. He is a member of the Santa Clara County Medical Association, American Society for Laser Medicine and Surgery, American Society of Cosmetic Dermatology & Aesthetic Surgery. His skill and expertise in Laser, Botox, Injectable fillers, Bio-identical Hormone Replacement, and Weight management techniques have made him a sought after guest speaker for community and church events in the Bay Area. He has been interviewed by Univision Channel 14, CBS Channel 7 and has been featured on several radio station programs. He has been named one of the top doctors in San Jose. In addition to their busy practice, both him and his wife (Yves-Renee Syverain, RN, BSN) volunteer regularly for many food charities in the Bay Area. We see patients from all over the Peninsula, Silicon Valley Area, San Jose, Palo Alto, Redwood City, San Francisco, East Bay, Santa Clara, San Mateo Counties. Yves-Renee Syverain, R.N.,BSN, Assistant Medical Director, Diplomate of Northeastern University. To visit him at one of those clinics, please contact us to make an appointment. For information about payment options, call our office at 408-294-9234. We accept Flex Spending Accounts, Medical insurance for medical conditions, credit card, debit card, cash.